Flooding is the most costly and repetitive natural disaster affecting our 3 county area. While residents are typically affected by inland flooding near lakes and in areas with low-lying elevations, flooding along rivers and coastal tidal surge are not uncommon. Flooding can occur anytime and anywhere when heavy or steady rain occurs. For advise on ways to protect property from flooding, contact county Public Works Departments. Flood Insurance helps protect you from the financial devastation caused by floods. Even a few inches of water can bring thousands of dollars in repair and restoration costs. Homeowner's insurance policies do not cover damage from floods. Typically there is a 30 day waiting period from date of purchase before your flood insurance goes into effect. That means the best time to buy flood insurance is before we move into official Hurricane Season. The undisturbed and wetlands areas of each county naturally retain floodwaters. improving water quality and providing refuge for endangered species. Please help keep these areas natural and beautiful by reporting any illegal dumping or clearing. Before buying property, be sure to check with your municipal building office for permitting history. Once you purchase a property, you may be required at your own expense to make alterations to a property that does have proper permits. So know before you buy! 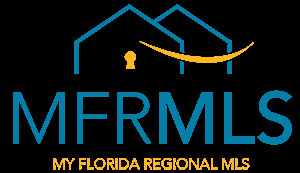 Hillsborough, Pasco and Pinellas counties participate in the National Flood Insurance Program (NFIP) and NFIP Community rating system (CRS). These Counties participation in the CRS Program means that flood insurance premiums on policies issued in the Special Flood Hazard Area ( SFHA) are offered at 25% discount and standard low risk policies at a 10% discount. As part of the requirement for participation in the CRS program, the counties must inform the residents and business owners about activities that can help prepare the community for flood events. Know how to shut off electricity and gas to your home prior to a flood. Make a list of emergency numbers and identify a safe place to go in case of a flood. Make a household inventory ( list, videos,pictures), especially of the lower level of your home. Put insurance policies, valuable papers,medicine,etc,in a safe place. Collect and put cleaning supplies, camera,waterproof boots,etc., in a handy place. Develop a disaster response plan. See the Florida Division of Emergency Management's website at Flgetaplan.com for information about preparing your home and family for a disaster.